Born in Naples in 1809, he studied at the Naples Conservatory from 1818 where his teachers included Zingarelli, Pietro Raimondi and, in their capacity as Maestrini, his own brother (Luigi Ricci) and Bellini. His first production, Il Colonello, given at the Treatro Fondo Naples in 1835, was jointly composed with his brother and was the first of many collaborations. 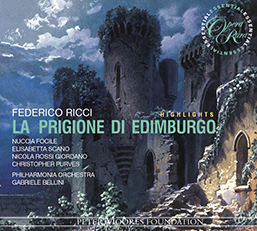 In 1838 he composed La prigione di Edimburgo (Opera Rara, ORR228), an opera semiseria drawn from Scott’s The Heart of Midlothianwhich proved to be one of his most sensational successes. 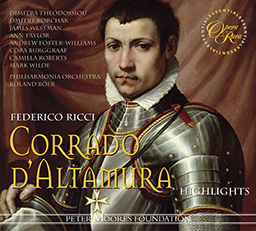 In 1841 he had a double success with Luigi Rolla (Florence), written for and dedicated to the tenor Napoleone Moriani, and Corrado d’Altamura (Milan), based on the same plot as Verdi’s Oberto, conte di San Bonifacio and widely considered to be his masterpiece in the tragic genre. Like his brother he succeeded mainly in comedy, to which he devoted himself exclusively after 1847. Two years after Crispino e la comare (1850, Venice), his final collaboration with Luigi, Federico triumphed in Vienna with Il marito e l’amante. 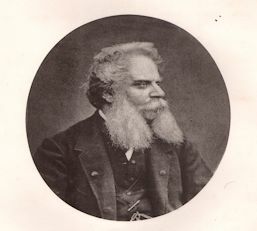 Following the failure of Il paniere d’amore (1853) he accepted the post of maître de chapelle of the imperial theatres at St Petersberg, but in 1869 left Russia for Paris where he enjoyed an Indian summer of popularity as a composer of Opéras bouffes. In 1876 Ricci retired to Conegliano in the Veneto, where he died the following year leaving his last opera, Don Quichotte, uncompleted.